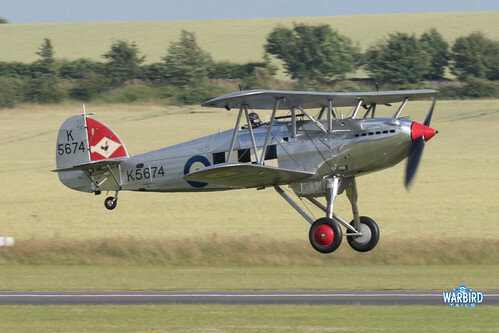 The second weekend in July can only mean one thing – Flying Legends. 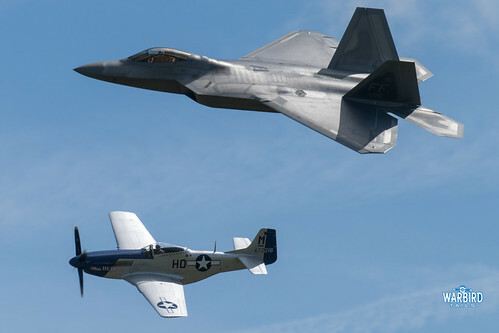 ‘Legends is world renown as one of the best warbird airshows on the planet, with the recent change in CAA regulations and some subdued flying at the May show at Duxford there were concerns this year may not live up to the past. Luckily any concerns started to fade once the Fighter Collection announced a number of changes to the Duxford display lines. While the decision to close the “Tank Bank” may have proved controversial it made a big difference to the closeness of flying for the majority of the crowd. The repositioned crowd lines allowed for much closer access to the taxiing aircraft as well. While ‘Legends always attracts a certain number of regulars, there are usually a few first time performers or new restorations that help to push the show to another level. 2016 saw a number of Duxford debuts. 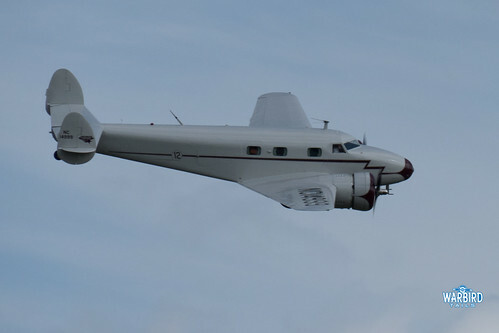 American twins could have easily been a sub-theme for this years show with a wonderful solo from the Norwegian DC3, the debut of the Classic Formation of two Beech 18s and a DC3 and one of a very few UK appearances of the Lockheed Electra flown over especially for the show. 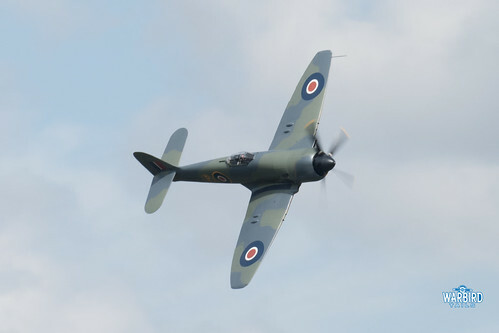 The shining light of this years show has to have been the recently restored Hawker Fury II – A fixed wing Hawker Sea Fury. 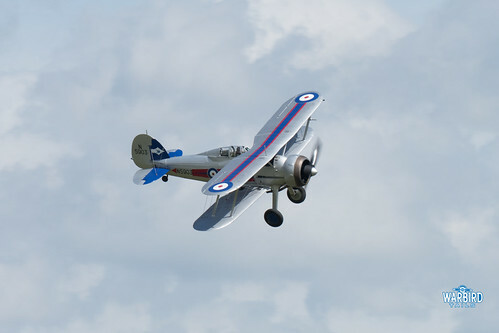 This aircraft had been restored in Australia with Richard Grace’s Air Leasing completing the work at Sywell in the weeks leading up to the show. 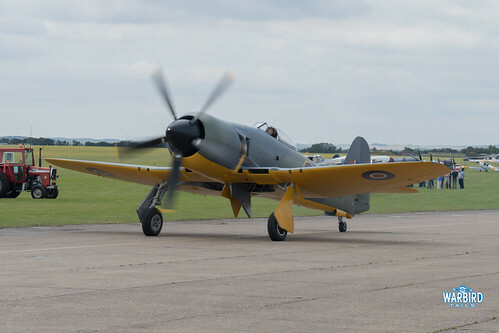 Having been finished in the stunning colours of the prototype Sea Fury the finished article took its first UK flight on the Thursday before the show and was ferried to Duxford that afternoon. Visitors on Friday were treated to an incredible solo display from the Fury in the hands of Richard Grace, certainly a masterclass in warbird flying. While down on numbers from previous years, the Spitfire overture proved every bit as impressive. Nick Grey led the Merlin engined examples through a dynamic tail chase (this included half cubans and rolls on the Saturday). 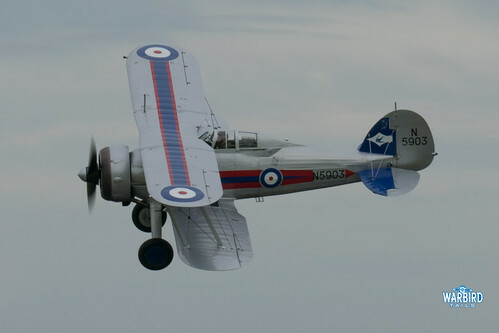 While the “Baby” Spits were turning around Stu Goldspink entertained with aerobatics in the Fighter Collection’s Spitfire XIV. 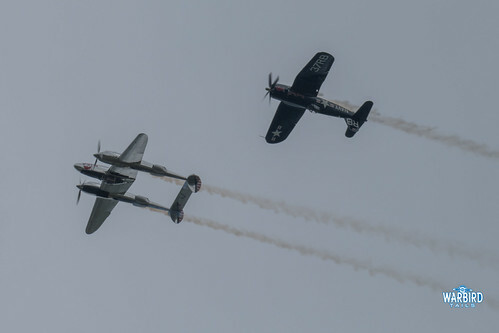 This year saw the regular collection of American Naval fighters on show, with the Fighter Collection’s Bearcat and Corsair performing spectacular solo routines. 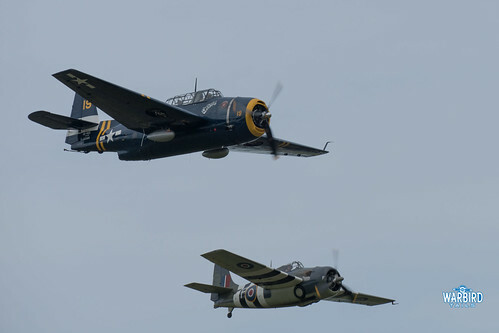 The other american Naval pairing of the weekend was the Avenger and Wildcat, Legends 2016 saw Keith Skilling’s debut in the Wildcat and his flying style certainly translates well to the little Grumman. While the sequences in the Legends program generally follow similar themes year on year there are always some surprises. A look at this years programme promised a Malta segment. This certainly lived up to expectations with Nick Grey flying the Fighter Collection’s Gladiator through an aerobatic tail chase with the Buchon pair while the Shuttleworth Gladiator performed low passes underneath, easily one of the highlights of the weekend. 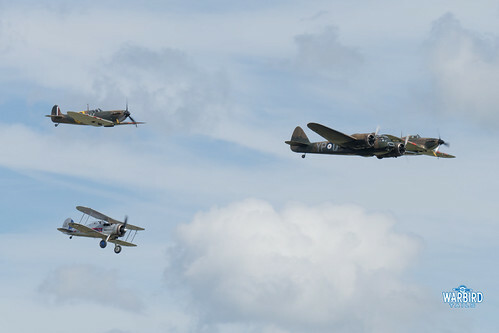 Following on from the Malta segment the Gladiators joined the Blenheim, Hurricane and Spitfire I for a wonderful early war formation. 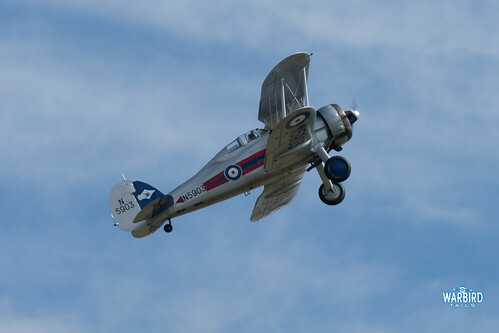 Hawker biplanes have played a key part in Legends for years now and this year saw a pair of Nimrods and the second Legends appearance for the Historic Aircraft Collection’s (HAC) Hawker Fury. The Sunday of the show saw the HAC’s Nimrod unable to fly which saw the Fighter Collection’s example performing a series of loops alongside the Fury, certainly not something you see every day! 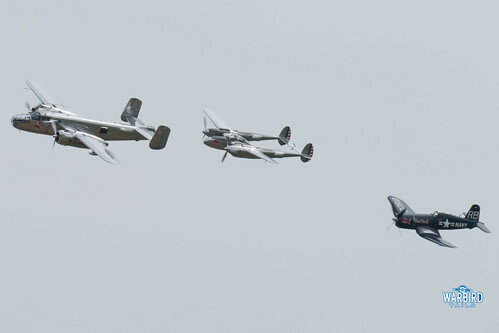 The Flying Bulls returned again, bringing their full warbird quote of B-25, P-38 and Corsair to Duxford for the first time. After formation passes the Mitchell was thrown around the sky for a few minutes before the Corsair and P-38, now both fitted with smoke systems flew an incredible formation aerobatic sequence. 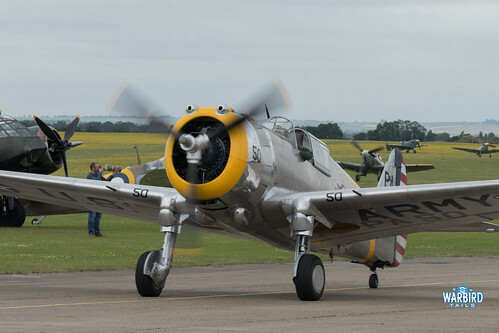 A Mustang Stampede is the usual treat for P-51 fans at Duxford in July, this year saw a slight change to the format. 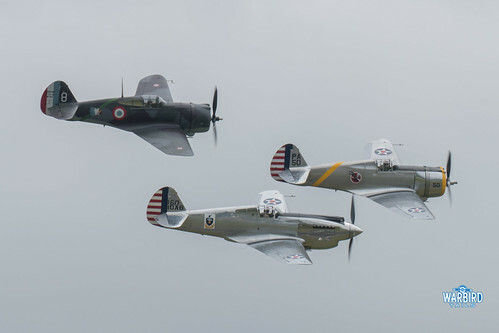 Only 3 Mustangs were available for the main sequence this year which saw Frederick Akary perform his trademark high energy aerobatics in “Moonbeam McSwine” while the Sharkmouth Mustang and Miss Velma performed a tail chase on the closer display axis. 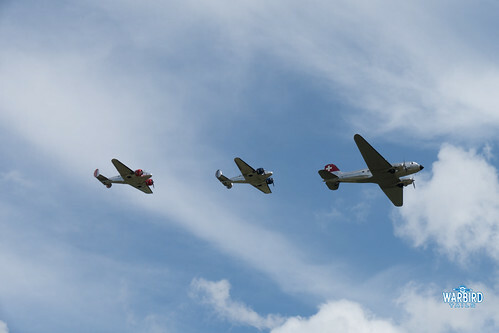 Two of the Mustangs later formed up with Sally B, remaining by her side for the majority of her display. 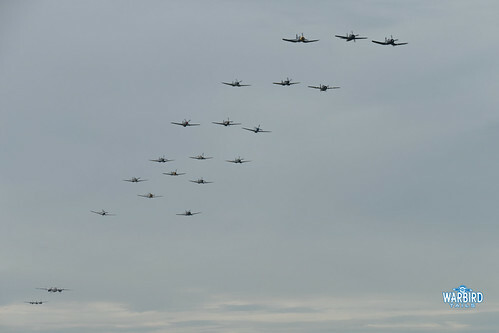 Much like in the Spitfire routine Frederick Akary filled the gaps while the B17 turned with some extra aerobatics, magic! Curtiss fighters well well presented again with the Fighter Collection’s P-36 and P-40C performing tail chase aerobatics while the Hawk 75 performed low and close to the crowd in front. 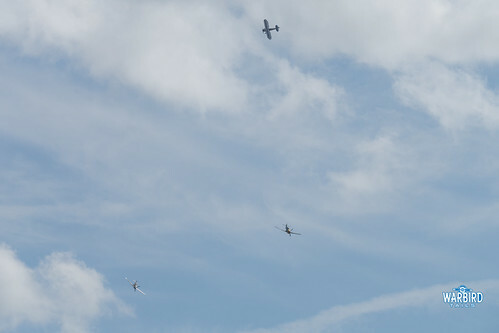 While only 3 Mustangs performed in the main display, a fourth example was making a welcome Duxford return. Miss Helen was flown by Dan Freidkin alongside a USAF F-22 Raptor as part of the heritage flight. This was only the second time a jet has made an appearance at the show (the first being an F15 for another Heritage Flight back in 2007). While a jet at Legends always distracts from the magic a little you cannot deny the wow factor of the Raptor, an incredible piece of kit! 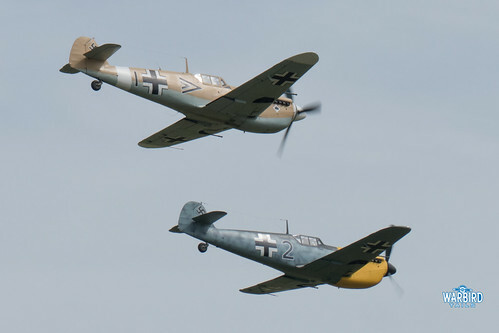 Though the Flying Display was, as is expected seamless, with very few gaps in the action, there were a number of cancellations both due to mechanical reasons and high winds on the show days. 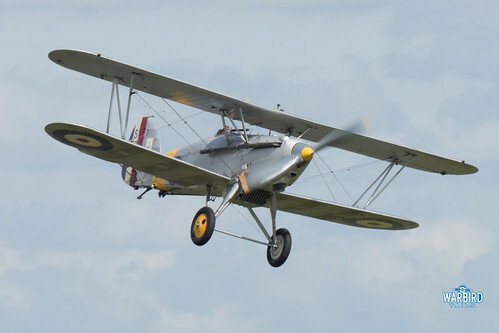 Notable cancellations were the Sopwith Snipe and Albatros D.Va and the final UK appearance by Peter Holloway’s Storch (though this did later perform at the Shuttleworth “At Home” day later in July). It shows just how impressive this years Legends was that despite using a number of aircraft from the planned line up they were still able to field a faultless display. As has always been tradition each day was closed with the trademark Legends Balbo. While technically down on numbers from recent years you can hardly call a formation of 20 piston engined fighters anything other than extraordinary. The noise alone is something to be savoured. Just as much a tradition as the Balbo is the Joker routine, designed to keep the crowd entertained while the Balbo is forming up and positioning. Traditionally the role fell to Stephen Grey, but the baton was handed to his son Nick in 2013. Nick’s chosen mount has been the Gladiator and he flew another incredible Joker routine in the biplane on the Saturday of the show. An incredibly graceful aerobatic routine all kept within the confines of the airfield. A technical problem on Sunday meant that we were treated to Nick displaying the Fighter Collection’s Mk V which he displayed with the exact same precision and grace, a true highlight of every year. 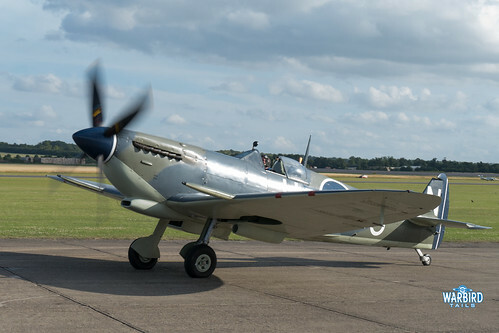 Overall then another classic Legends and it proves that even during difficult times for the UK Airshow scene one of its stand-out events can still adapt and adjust to remain truly world class – here’s to 2017!